One of the great and famous wines of Australia and one of the best Semillons on the planet. No oak and ageworthy, pure citrus, spice, and intensity becoming rich, honeyed and creamy with age. Firm fish, creamy pastas and chicken. 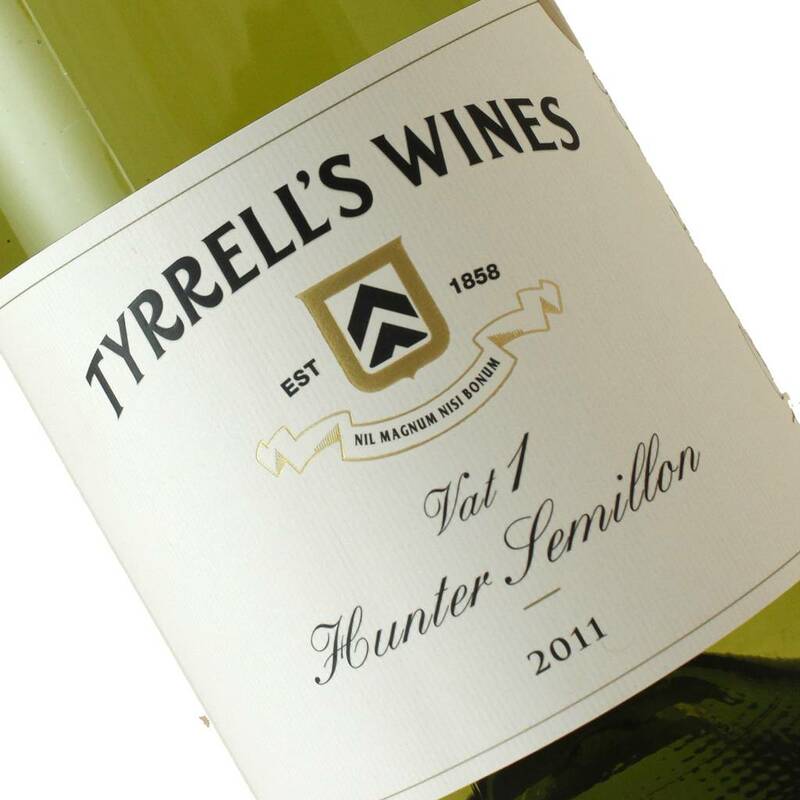 One of the most unique and delicious of the world's white wines is the low alcohol, un-oaked and meant-to-be-aged Semillon from the Hunter Valley in Australia. Known to age beautifully for anywhere from ten to thirty years, whereupon the wine gains weight and complexity unlike any other, Vat 1 is considered the very best of its type in Australia - a national treasure. When young, as this is, the wine is all about pure citrus and spice with remarkable intensity, vibrant acidity and the cleanest finish imaginable. The crystalline purity and vibrating energy are really remarkable. As it ages, it becomes rich, creamy and honeyed and develops a long and complex finish. I've had a properly aged Semillon at around twelve years of age and it was really remarkable - seemed more like a high-end Chardonnay and, boy, the texture and weight for an under 12% alcohol wine was thoroughly amazing. If you have friend with a cellar (or have one yourself) buy them at least 3 bottles of this and tell them to try one every five to ten years - they will be amazed.